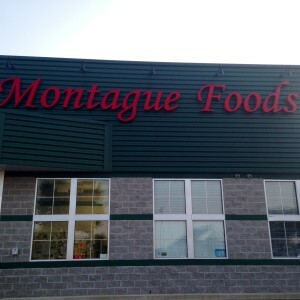 Montague Foods is located in downtown Montague, Michigan at the intersection of Water St. and Dowling St. 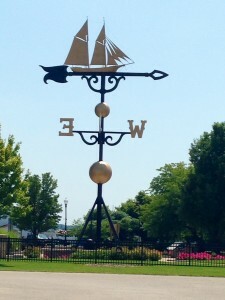 The White Lake Weathervane sits just in front of our parking lot. 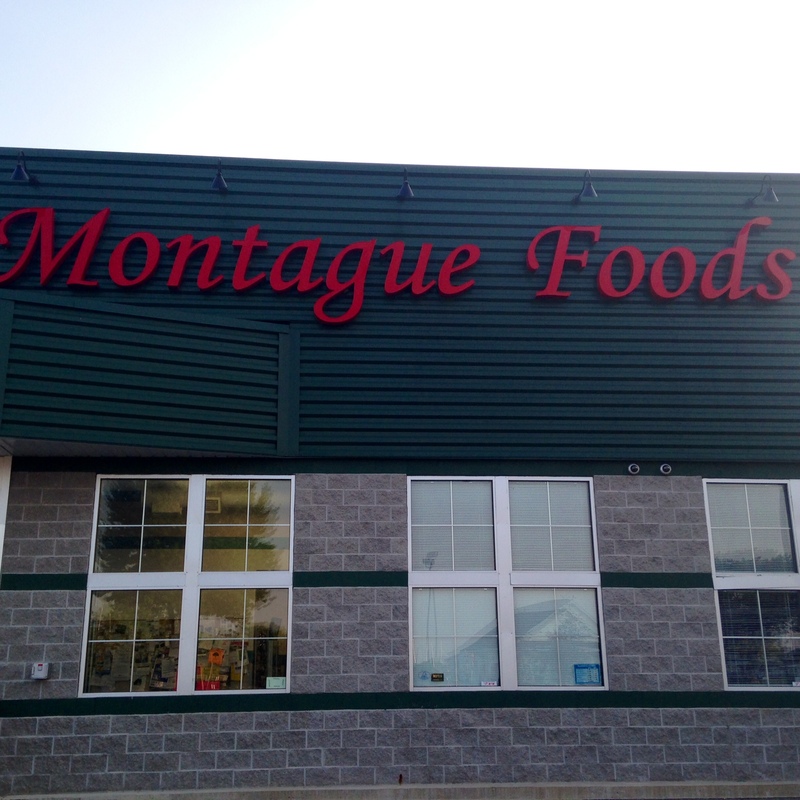 Our parking lot can be accessed from both Water St. and Dowling St.
From US31, take the Montague/Fruitvale Rd. exit. Turn right onto Frutivale Rd. At the blinking traffic light, turn left onto Water St/N Whitehall Rd; follow for approximately 2 miles. Store is on the left at traffic light in town. See below for a map of our store location.